Nettle has been used medicinally to treat various conditions, and nettle juice has even been used to purportedly enhance hair growth when applied to the scalp. Nettle has also been used for its rich supply of the minerals calcium and iron. However, there is not enough information from research studies to support nettle for any of its uses. Consult with your doctor before using nettle for improving your health. Nettle is also known as nettles and stinging nettle. The root and leaves of nettle are used in herbal medicine. 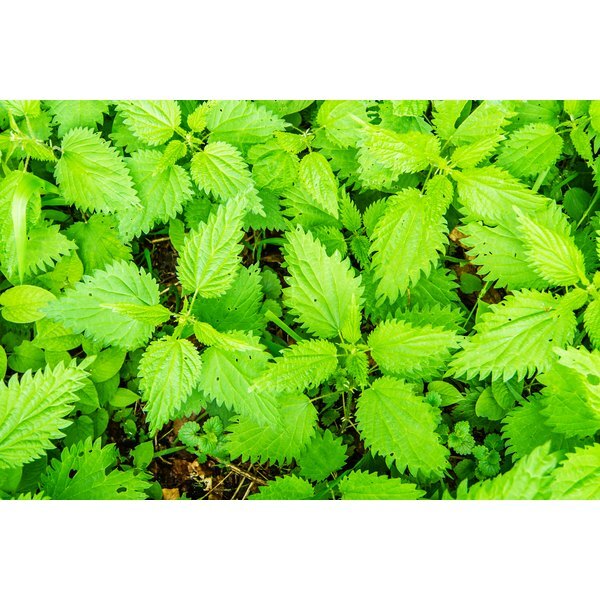 According to the Palo Alto Medical Foundation website, research studies of nettle for treating benign prostatic hyperplasia and hay fever have used 2 to 4 ml of nettle tincture, taken three times a day. Nettle tincture is used to possibly relieve symptoms of benign prostatic hyperplasia. It is also used to purportedly alleviate symptoms of hay fever. Women who are breast-feeding may use nettle for its high content of calcium and iron and possible diuretic effect to enrich and enhance the flow of breast milk. Nettle may also relieve symptoms of urinary-tract infection by increasing urination and helping to rinse bacteria out of the urinary tract. According to the the Palo Alto Medical Foundation website, studies of nettle tincture for benign prostatic hyperplasia have shown it to increase urination and reduce the severity of the disease. Preliminary research of nettle for relieving hay fever has shown a slight reduction in symptoms, such as sneezing and itchy eyes, according to the foundation. However, there is insufficient information from human studies to rate the effectiveness of nettle for any of its uses. Nettle is generally well-tolerated but may possibly cause allergic reactions. Nettle may also cause mild side effects, such as gastrointestinal upset. According to the Palo Alto Medical Foundation, nettle is safe to use during pregnancy and breast-feeding.